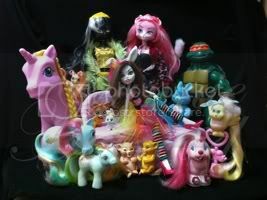 My Little Pony Arena » Forums » Special Interest Groups » The Dollhouse » Did Anyone from here win the CatwalkKitties Auction 4 Sushi? Forums » Special Interest Groups » The Dollhouse » Did Anyone from here win the CatwalkKitties Auction 4 Sushi? Posted: 0 Post subject: Did Anyone from here win the CatwalkKitties Auction 4 Sushi? Was Really wanting this and my Max bid was 150 and i was bidding last seconds and last 20 i lost it to 152. Pls lmk if if it was someone here just out of curiosity.